I attended an early screening of Kubo and the Two Strings when I was in LA for the film's press junket. 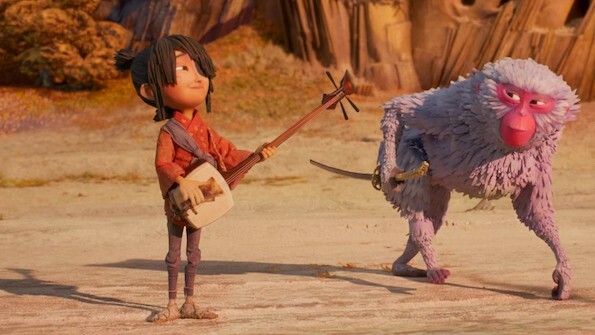 I already spoke of my absolute love for the credits in Kubo and the Two Strings with While My Guitar Gently Weeps, but I promised a parent's review of Kubo and the Two Strings, plus more about the actual movie and other reviews! First, the real critics are raving about Kubo. 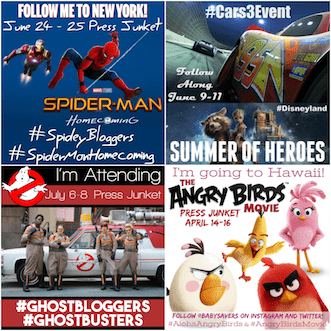 Check out just a few of the snippets I found when browsing online. “Kubo and the Two Strings” matches its incredible animation with an absorbing — and bravely melancholy — story that has something to offer audiences of all ages. The overall stunning nature of the work cannot be ignored. Audiences would do well to take Kubo’s advice from the movie’s beginning, “If you must blink, do it now,” as there is no telling what they might miss if they look away. 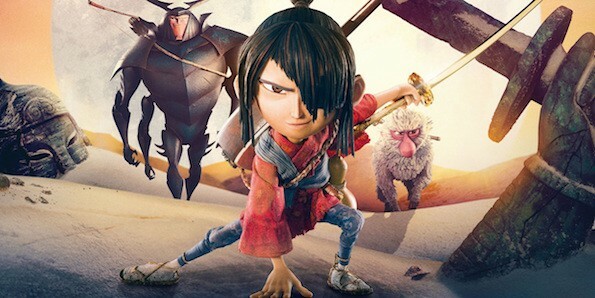 “Kubo and the Two Strings” continues Laika’s string of arresting, unconventional stop-motion animated films that are both sophisticated and enchanting…Kubo is audacious enough to tackle serious subjects and to do so with no pretense about the finality of death, or the reality of evil. The true magic in “Kubo and the Two Strings” is found in the characters, starting with the titular character, who is brave, but also essentially a little boy on the verge of manhood struggling with his sense of loss and his desire for family…This is a transcendent film of astute insights that resonate with the heart. 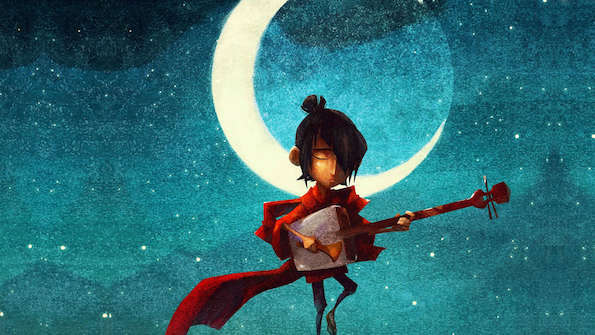 Laika has nonetheless crafted a movie with real resonance. Plenty of animation uses dead parents as an easy trope; Kubo actually attempts to process death as a part of life. With such awe-inspiring artistry, designed so as to never distract from the material it serves, “Kubo and the Two Strings” stands as the sort of film that feels richer with each successive viewing, from the paper-folded Laika logo at the beginning…to the emotional resonance of its final shot. In his first project at the helm, Travis Knight has delivered a tale that touches on immortality. As for my own thoughts, as a parent, on Kubo and the Two Strings, I strongly believe that parents should see this movie with their children. In addition to being beautiful and having some great funny moments, it's thought-provoking for all ages. Like other movies from LAIKA, Kubo and the Two Strings doesn't sugarcoat death of loved ones. I lost my dad, my kids lost their grandpa and my husband lost his father-in-law just a few months ago. That loss is still very fresh for us, and I think parts of the movie could be cathartic for my kids. 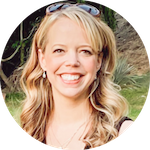 In the past three months, it's become hard, at times, to find new things to say to help grieving little ones when I'm going through the same thing in my own way. I actually like the idea of my kids getting a different perspective on the theme, of seeing a fictional character experiencing a similar loss. On that note, if your own children haven't experienced loss in a capacity that helps them understand death, I think it's fair to say you should discuss it before seeing Kubo and the Two Strings to help cushion the sadness within the film. Finally, Kubo and the Two Strings is sweeping gorgeous both in design and in the story. But it has very intense scenes that are potentially scary for little kids. At the same time, it seems like every animated movie that's worth seeing has those moments. It's definitely up to us, the parent's, to determine if a movie is appropriate for our children. I'd just say that Kubo is on the more intense end of the spectrum when it comes to animated movies. All in all, Kubo and the Two Strings is amazing. Knowing what I know about everything that went into making the movie, I'm even more proud and amazed at how it all came together so beautifully. In a world of computer-generated animation, Kubo and the Two Strings is so different, and so much more than an evening of entertainment. Kubo and the Two Strings is now in theaters. Find it in a theater near you and get your tickets today! Be sure to check out the expert origami artist and Shinobu Ichiyanagi demonstrating Japanese candy art at the Kubo and the Two Strings press junket! My interview with Kubo and the Two Strings' director and producer, LAIKA's Travis Knight and Arianne Sutner. The Kubo and the Two Strings production team: What they do and how they do it. See more about Regina Spector and the song in the credits of Kubo and the Two Strings. 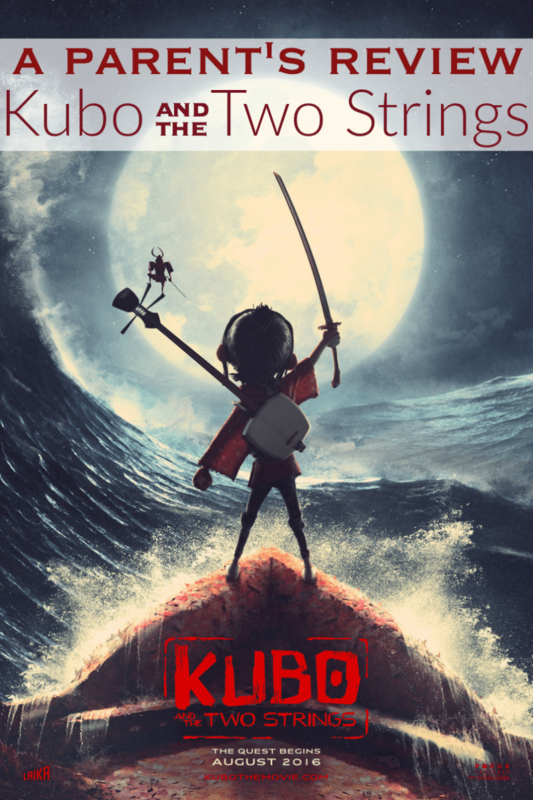 Find out where Kubo and the Two Strings is showing at a theater near you! Disclosure: Travel and most expenses were covered to facilitate the trip and learn more about Kubo And The Two Strings. All opinions are my own.